Tocal College is a leader in full-time and part-time agricultural courses, short courses and distance education. Our courses are renowned Australia-wide for their practical training, development of industry-relevant skills and experience in general agriculture, beef cattle, dairying, rural business management, sheep production, cropping and conservation and land management. Tocal College offers a unique experience in the great outdoors and a caring approach to individual and team learning. 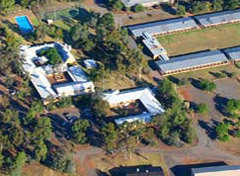 The College operates as the CB Alexander Campus at Tocal and the Yanco Campus. 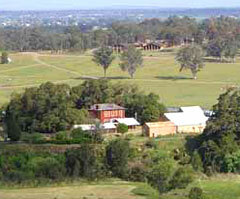 CB Alexander Campus is situated in the picturesque Hunter Valley about 180 km north of Sydney. It provides a unique blend of agricultural training and practical experience for school leavers and other people who may be interested in rewarding careers in agriculture. The campus includes large commercial farms that offer students a practical edge to career entry. Year 10, 11 or 12 school leavers can gain a practical pathway to careers in agriculture, or gain credit in a variety of university degrees. The aim of these courses is to train students for farming or related industries by focusing on industry-relevant issues. In addition, student personal development is fostered by enhancing communication skills, teamwork and appropriate attitudes. Whether students decide to complete a full time, part-time or a self-study program, these courses are a great learning experience. Arrangements are in place for graduates to receive credit at most NSW universities that offer agriculture or related courses. A range of one-day and two-day courses are also run at CB Alexander Campus. These short courses are designed for professional and part-time farmers as well as new entrants to agriculture and those thinking of investing in agricultural land. Skills recognition is also available for all courses offered at the CB Alexander Campus. See the CB Alexander Campus website for comprehensive information about the courses available, how to enrol, the facilities at the campus, and contact details. Tocal College's southern campus, Yanco Campus, formerly known as the Murrumbidgee Rural Studies Centre (MRSC) is situated in the heart of the Murrumbidgee Irrigation Area at Yanco, just 10 minutes drive from Leeton and 20 minutes drive from Narrandera. It shares the site and resources with Yanco Agricultural Institute (YAI). Tocal College, Yanco Campus provides a wide range of short training courses for primary producers, owners of small farms, new entrants to agriculture and horticulture, and to those thinking of investing in a rural enterprise. The accredited training provided is based on the most up-to-date information and stems from the relationship between Tocal College and NSW DPI research, extension staff and the expansive resources and sites available for training purposes. The focus is to service the training needs of the primary producer, small farm owner and industry in a fast-paced, technological and legislative age. Skills assessment, a process which counts experience, skills and knowledge already gained towards obtaining a nationally recognised qualification, is also available. Tocal College through its Yanco Campus can arrange training to take place in your workplace (subject to negotiation) or at a venue most convenient to you and other like-minded people.